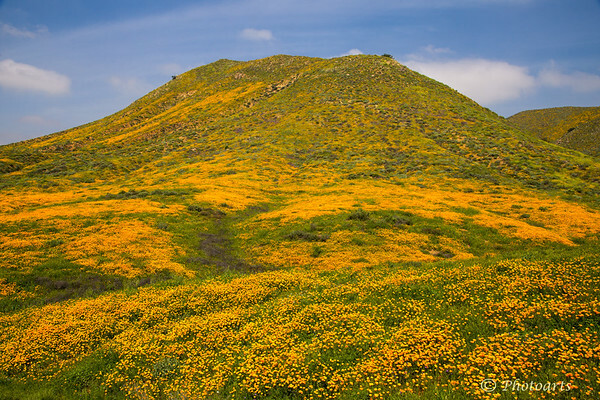 Hills of walker Canyon in Western Riverside county, CA, usually brown and lifeless come to life with wild Poppies with a bit of rain! Beautiful capture of the wild flowers. Beautiful capture of the wildflowers!